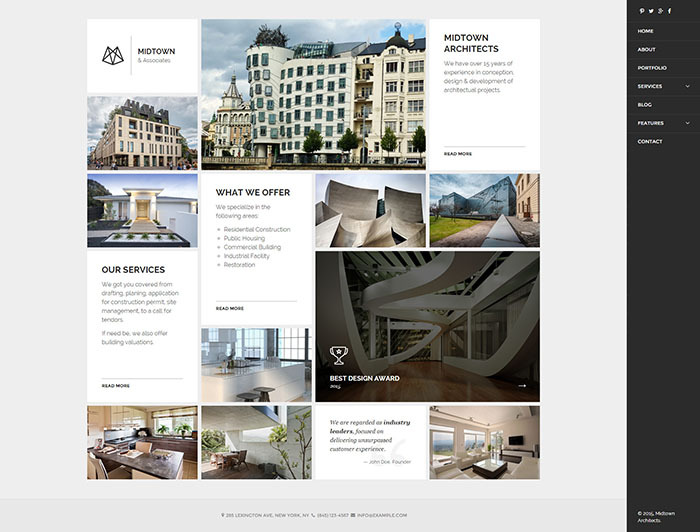 Architect WordPress themes are very rare and still we can find the best WordPress theme designed for architects. The themes are fully responsive and can also be used as multipurpose theme for any use. Portfolio is very important for architects so that they can use the gallery features to showcase their projects in a new modern style. Switch to these great themes if you are still stuck with old theme as modern themes work well on any device available on the market as well. Ajax ready themes can come in handy as they can display everything in just one page without any load delays. 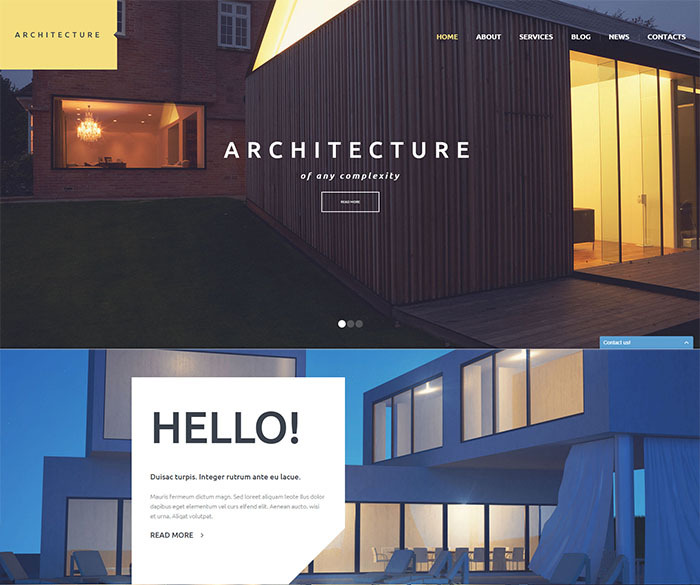 Go through these amazing architecture WordPress themes and choose your favorites. Get the best WordPress Architecture Themes designed with fully responsive design for architecture agency, building designers, portfolio, interior designers etc. Your business can be taken to the next level with a powerful and professional website. 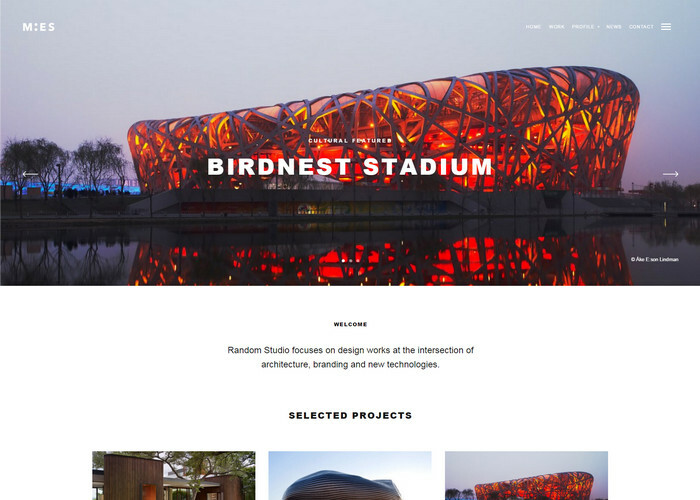 Creating your own website is easy and this sleek theme lets your architectural designs be showcased. The page builder walks you through the creation of your page from start to finish. Known as a minimalist design with smooth scrolling capabilities, this theme works for small companies and large architectures firms. Completely customizable, erect your page to introduce the world to your amazing creativity. The grid system layout of this simple and elegant theme is impressive. The theme includes all the elements you’ll need to get started including the following pages, home, portfolio and services (both which allow for 3 additional pages of content), about, blog (with a separate post page) and contact. Icons which are retina-ready are included. The Visual Composer on which the theme is built translates into breath-taking visuals which will leave your viewers in awe. 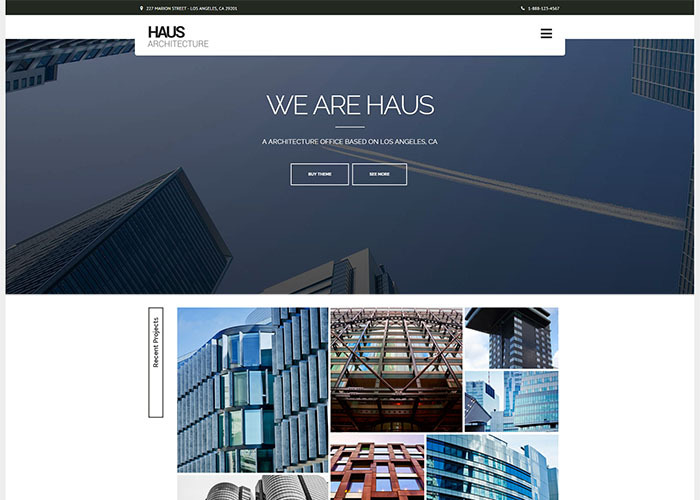 Choose form a collection of six unique homepage layouts to build your architect website with the help of this WordPress theme. All sections are carefully designed with unique style for featured works, portfolio and testimonials section. 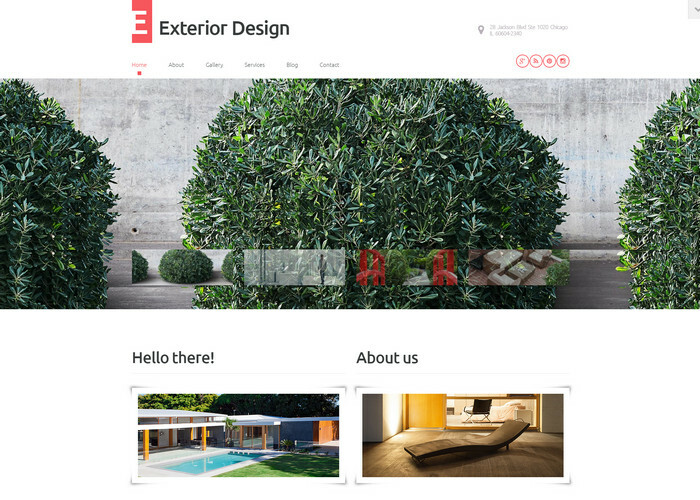 This responsive architect theme will be boost to your new interior designer business with modern design elements in all aspects of the theme. Full AJAX ready responsive design makes this flat theme interactive with many page layouts to impress your visitors. This theme boasts of 4 homepage templates with other 12 page layouts to play around. 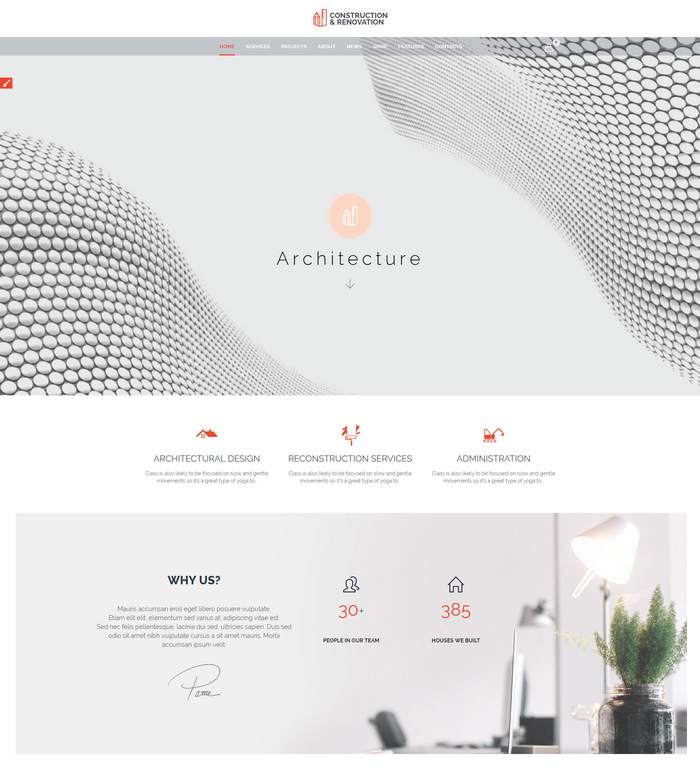 Arctic can be the best solution for minimal theme design created for architects, creatives and more.With its amazing features including responsive design, AJAX functions makes the theme the best experience in any device. Supports woo commerce to enable shop ready elements on your site. Add contact form with ajax functionality for instant display of sent mail with Google map feature etc. The design of this theme is clean and sleek, allowing your pictures and designs to really pop. Customize the website with your choice of background, color scheme and header. Select a widget from the large collection provided, then easily drag and drop it directly on your page. 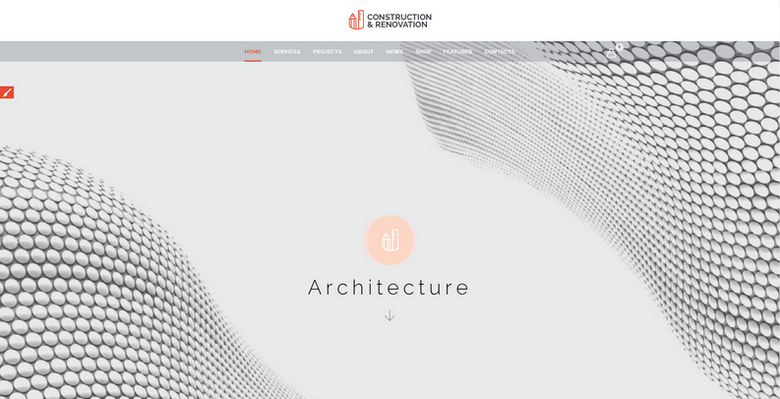 The responsive page will bring in new business for your architectural company. Showcase your amazing designs for the world to see in the most professional manner. The consistently responsive theme ensures your website can be accessed without delay on a variety of devices. Introduce your designs to the world in a successful and elegant way which will attract the optimum number of new clients to your architecture or engineering business. This clean theme is the perfect platform which allows you to create your company’s website without assistance. Completely customizable with a library full of backgrounds and color schemes, you are able to have your page represent your business to the world that way you crave it to be seen. Your designs take center stage and you have the comfort of knowing that your page will be responsive and accessible on a multitude of devices. The perfect theme for designers, architects and construction companies, this multi-page website includes all the features you need. Always responsive, prospective clients will be impressed with the professional and accessible website. Including the standard pages, upload your own pictures to give the public a taste of what you have to offer. Accessible on a variety of devices, viewers can access your page wherever they may be. 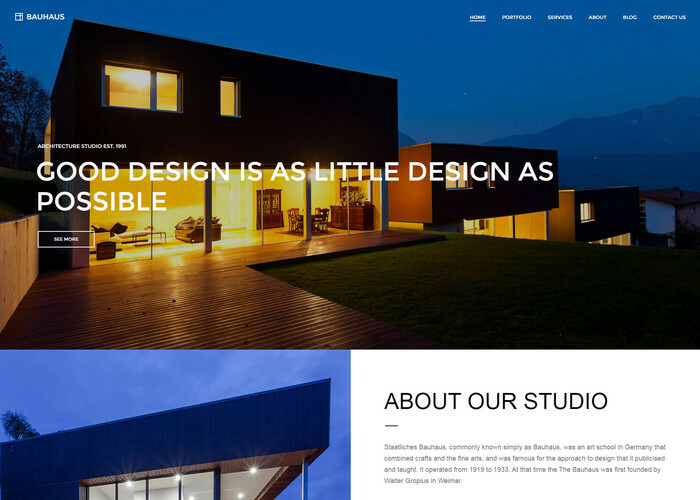 This WordPress theme let’s your work do the talking with its simple, minimal design. Select pages such as, Home, About Us and Blog from our library, which compliment your concept and display your creativity to future clients. Texts and Icons are of the highest quality, presenting your business in a professional manner, whether you are a freelancer or a large firm. Drag and drop pictures, logos and so much more. The contact 7 form ensures that you will never loose communication with intrigued page viewers.